Billboard magazine's Hot 100 songs chart will include data from music streaming and subscription sites for the first time. 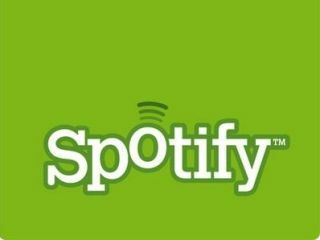 Listening stats from Spotify, Rhapsody and Rdio will all go into the pot, along with the radio airplay and download sales that currently decide the rankings. Other services adding to the chart data include Slacker, Muve Music and MOG. In the run-up to the changes, Billboard has compiled test charts to show the differences produced by adding the new data. Overall, these differences are fairly small, but electronic music in particular sees a boost. For example, M83 and Skrillex wouldn't have featured in the Billboard Hot 100 for the week ending 4 March, but with streaming data included they would have hit numbers 77 and 85 respectively. Otherwise the test charts showed that most differences were small rankings shifts, and the top four wouldn't have been affected. While the differences may be small, the amount of new data used is significant – in that same week up to 4 March 494 million song streams were counted, compared to 27.1 million song downloads. Billboard's editorial director Bill Werde said that the change has been made now because streaming services "have only recently hit a critical mass." There is plenty more data available, though, and Werde said that Billboard is working to include YouTube music video data into the charts as well. Meanwhile, the UK's Official Charts Company that provides the like of BBC's Radio 1 is based solely on physical and download sales.